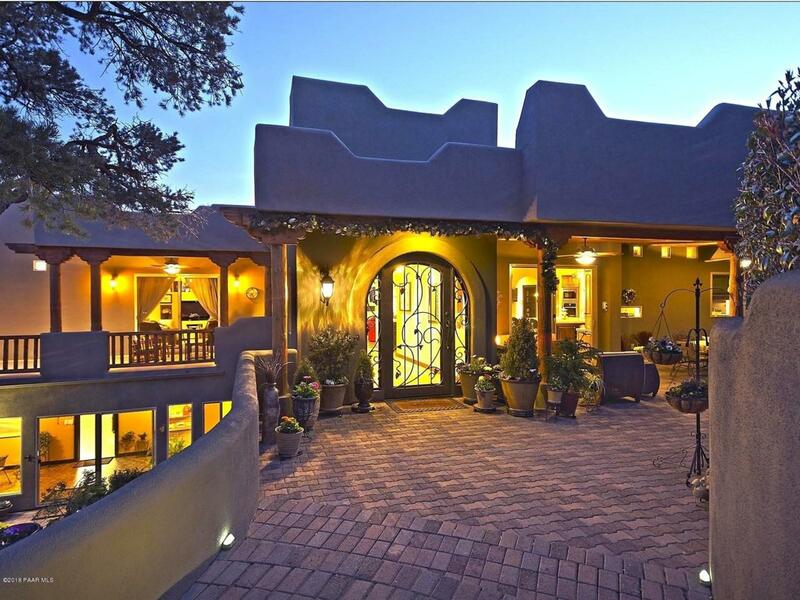 Premier home located just minutes away from the downtown courthouse square and local hospital in desirable Yakashba subdivision.This quality Santa Fe home was remodeled in 2009 with assistance from local architect Lynn Vanlandingham. This exceptional residence offers main level living, long distance views of Thumb Butte and National Forest, over 2 acres, 5 car total garage plus plenty of guest parking and In-Law apartment on lower level.Features include gated front courtyard, ''Cantera'' wrought iron front door, 4 EnSuites, fully remodeled Gourmet kitchen with ''Alligator Juniper'' custom counters and Bosch appliances and over 1200 sq.ft. mastersuite with incredible 10' X 30'walk in custom closet.Home has been professionally landscaped. Solar panels services 2 hot water heaters. 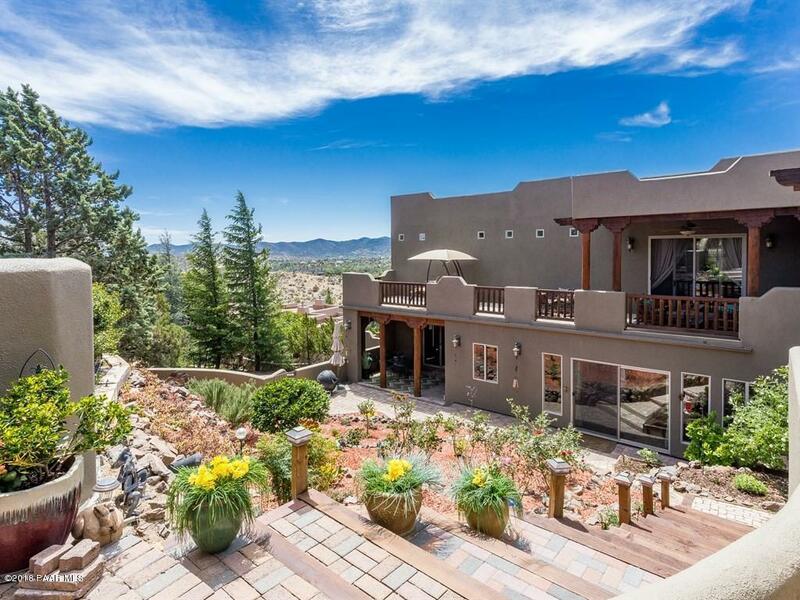 Listing provided courtesy of Len Mcgee of Coldwell Banker Residential Brokerage.